Hold your younger child’s hand while you walk the route using pavements, sidewalks or paths where possible. If there are no safe paths, then walk facing traffic. Teach your children to cross at safe crossings, not between parked cars. Talk about the importance of not using headphones, mobile phone or texting while crossing the road. Always buckle up and make sure kids are restrained in the back of the car in appropriate seating for their height and weight. 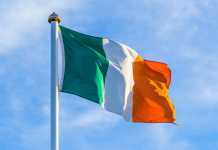 In Ireland, according to the Road Safety Authority all children under 150cms in height or 36kgs (79lbs) in weight must use a child restraint system (CRS) such as a child car seat or booster cushion suitable for their height and weight while travelling in a car. In the UK, the law requires all children travelling in the front or rear seat of any car, van or goods vehicle must use the correct child car seat until they are either 135 cm in height or 12 years old (which ever they reach first). After this they must use an adult seat belt. It is the driver’s responsibility to ensure that children under the age of 14 years are restrained correctly in accordance with the law. You can view the state by state laws for the United States on the AAA Website. Make sure they can’t open doors and windows while you are driving. Most rear doors have a child safety lock button on the door. And window locks on more recent cars are controlled by the driver. We usually have our back windows locked because of our dog never mind the kids! As tempting as it may be not to have to get everybody out the car, do not leave kids alone in the vehicle, even for a brief period. Collect your children and drop them on the school side of the road whenever possible, rather than on the opposite side where they might be tempted to run over to you. Always park safely, most schools will suggest where parents should park or more importantly, where not to park. 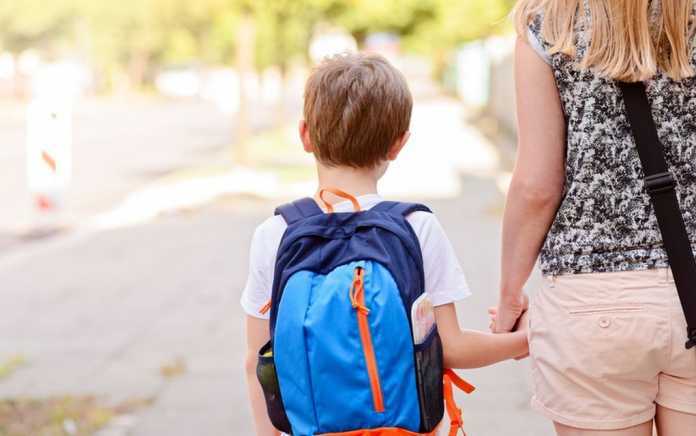 As schools can get very busy with cars and buses, consider parking safely a little further away and walking the rest of the way, it’ll give your child some exercise too! Always follow advice from traffic or school wardens. They are there to help everyone get to school safely. Make sure to give cyclists plenty of room as you pass them and remember cyclists can wobble, particularly young ones. 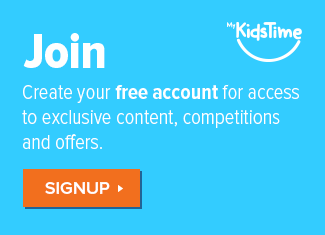 You might also enjoy So Your Little One is Starting School. Are They (and You) Ready? Make sure your child waits in a safe spot for the bus to arrive and that they wait for the bus to come to a complete stop before they get on or off. Teach them to take care when climbing off and on the bus. Remind them to stay seated and belted while the bus journey takes place. 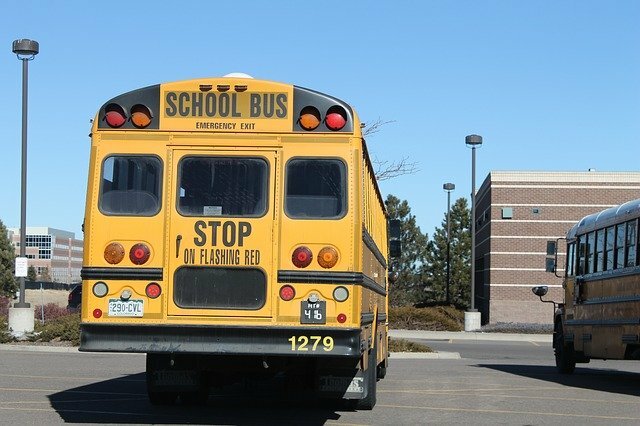 If your child needs to cross the street after exiting the bus, he or she should take five giant steps in front of the bus, make eye contact with the bus driver and cross when the driver indicates it’s safe. Never walk behind the bus. Teach your child to tuck their bag under the seat in front and to pay attention to the driver’s instructions. Kids under 12 should be accompanied by an adult as research has shown they don’t necessarily have the skills or experience or judgement to be safe in traffic alone. Use cycle paths where possible. Although footpaths are for pedestrians and cyclists are not supposed to go on them, I personally think it’s safer to have a child cycle on a footpath than on the road. 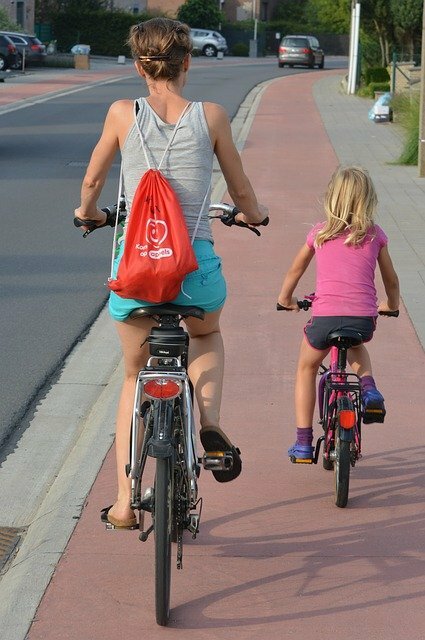 If I’m cycling with my child, I go on the road alongside them cycling on the footpath that way I can direct them if pedestrians come towards us. Always wear a helmet! A friend of mine ended up in hospital with concussion for not wearing her helmet when on her bike, although she had insisted the kids put them on! Make sure all the brakes, lights, tyres and bell are in working order. Over to you now. 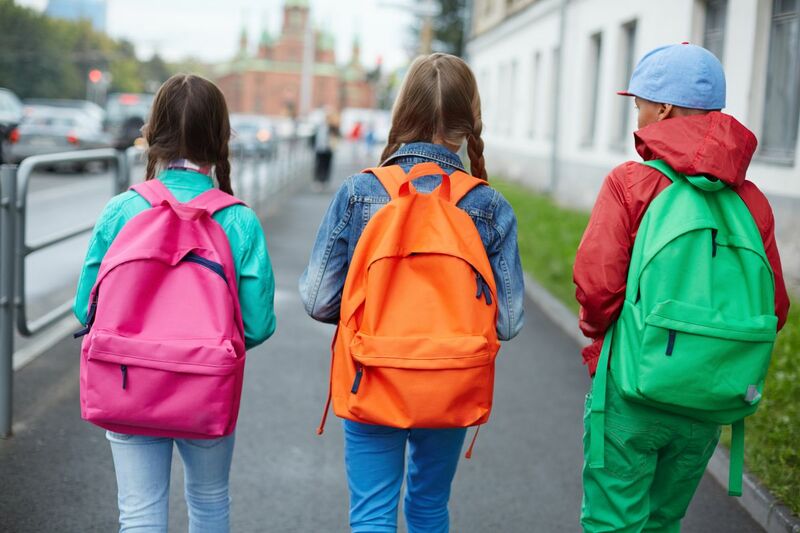 what’s your best tip for travelling to school and safety rules for kids? We’d love to hear your comments below. Next articleDo You Know How To Explain Death To Your Child?